Russian Foreign Minister Sergei Lavrov has arrived in New York City to attend the UN General Assembly session, on Sept. 26. A source in the Russian delegation told reporters that Lavrov would hold over 50 meetings on the session sidelines. 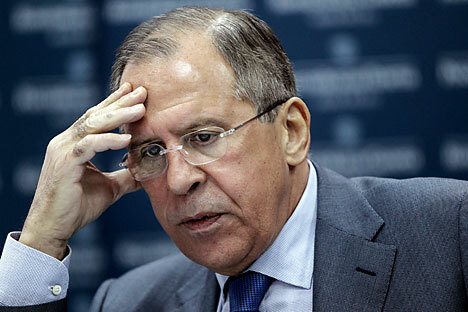 For instance, the Russian foreign minister is planned to meet with U.S. Secretary of State John Kerry, EU foreign policy chief Federica Mogherini and NATO Secretary General Jens Stoltenberg, the source said. Meetings with Iranian Foreign Minister Javad Zarif, Syrian Foreign Minister Walid Muallem, LAS Secretary General Nabil Elaraby and Chinese Foreign Minister Wang Yi will be held too, the source said. In addition, the agenda includes meetings with UN Secretary General Ban Ki-moon, German Foreign Minister Frank-Walter Steinmeier, and the foreign ministers of Greece, Finland, Lebanon, Algeria, Switzerland and some other countries. Sept. 28 will be the main day of the UN General Assembly session when Russian President Vladimir Putin is planned to address the Assembly.